The Kittitas Valley Unitarian Universalist Congregation is a member of the Unitarian Universalist Association. We are located at 400 North Anderson in Ellensburg, Washington. The congregation currently has about 45 active members and we share a church building (a former Christian Science church) called the Ecumenical Church of Ellensburg, with the Ellensburg Zen Group, the Ellensburg Society of Friends (Silent Quaker), and All Sentient Beings (Tibetan Buddhist). In 1992, the congregation was reconstituted from a previously existing Ellensburg fellowship. During the 1990s, the congregation met at the Woldale School on the north end of Ellensburg. 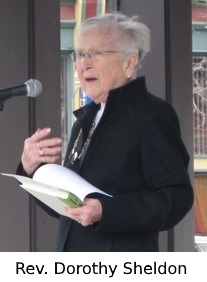 Dorothy Mae Sheldon, who took on a second career in ministry after retiring from Central Washington University, lead the fellowship. In 1996, the congregation called Rev. Sheldon as minister. In 1999, the congregation moved into town renting a small restaurant for services on Sundays. In 2000, the congregation moved into its present building. In 1998, the congregation had the good fortune to call another recently graduated, second-career minister, Rev. Alan Merson. Upon moving to town, the congregation experienced a significant increase from less than 10 adults weekly to about 25. The congregation then took on a goal of expanding membership to 30 and applying for regular affiliation with the UUA. This process was completed in 2001. Rev. 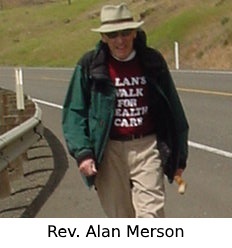 Merson passed away in 2005, and Rev. Sheldon retired in 2006. The congregation decided to put its resources into developing a children’s religious education program. 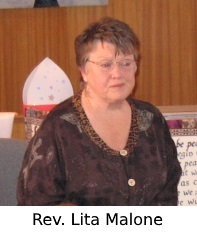 With that we hired Lita Malone, DMin, as our Religious Education Director in 2007. We now have a thriving RE program. In 2015, Rev. Lita Malone step down as our Minister of Religious Exploration. In September of 2015, the congregation has just hired Maggie Patterson as Coordinator of Religious Exploration. Without question, the biggest change that has occurred in our congregation over the last five years in our recent change in ministerial status. For almost a decade, since Rev. Dorothy Sheldon retired in 2006, KVUUC was a totally lay-lead congregation. After significant introspection and goal setting and with the help of a program at the UUA and PNWD, we have hired Rev. 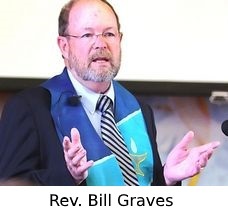 Bill Graves as a quarter-time minister. Rev. Bill began his duties September 2015. Demographically, while the congregation remains relatively small, we have increased our membership from a steady 30 to about 45.